Recently, the Senate Commerce Committee’s Subcommittee on Aviation Operations, Safety, and Security held a hearing on the topic: Stakeholder Perspectives on Improving TSA for the Security of the Traveling Public. Chaired by Senator Roy Blunt (R-MO), the hearing was intentionally held before a new TSA Administrator is named so that committee members could hear from a variety of aviation community stakeholders about their concerns and, thereby, help inform committee members about issues that ought to be raised in a confirmation hearing, whenever that may occur. If there was one theme senators heard in the mostly partisan-free hearing, it was that passenger and cargo screening requirements cannot be met without a significant increase in the training and deployment of canine teams. All of the dog lovers came out in this hearing, and when it was over, senators could not have mistaken the message: until technology is as reliable and effective as a canine’s nose, we need more trained dogs. Sharon Pinkerton, Senior VP of Legislative and Regulatory Policy at Airlines for America, shared Mr. Alterman’s sentiment in regard to increased presence of canines. “The greatly expanded use of canines for the primary screening of cargo in the U.S. is needed to complement existing cargo screening technology, to improve screening efficiency and efficacy, and to close particular commodity-specific gaps,” she said. Oh sure, there were other topics that came up, from the much-maligned security fee diversion from TSA’s coffers to the General Fund (which forces air passengers into paying down the national debt with a fee tacked onto each ticket purchased – over $1 billion last year alone, according to Kim Day, Airport Manager at Denver International) to modernizing the TSA checkpoints so airports can be effective and efficient. TSA received high marks for working with aviation stakeholders in the area of checkpoint line management, for TSA’s Innovation Task Force and for TSA’s rapid response to dangerous situations like the recent shooting in the Fort Lauderdale airport baggage claim area. 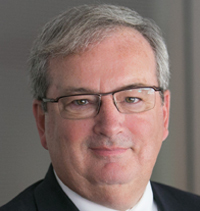 Several witnesses and more than a few senators noted their hope that progress started under former TSA Administrator Peter Neffenger’s leadership would not stall (or go backwards) while the position of TSA Administrator remains vacant. Yet, while TSA received positive comments in some areas, the discussion of how to handle increased demands for screening services, especially for cargo carriers, remains an open issue. As Mr. Alterman explained, today nearly all of the canines operating in airport environments are TSA dogs, and TSA simply does not have enough of them. In terms of the talent pool available, Alterman said, that is not an issue. 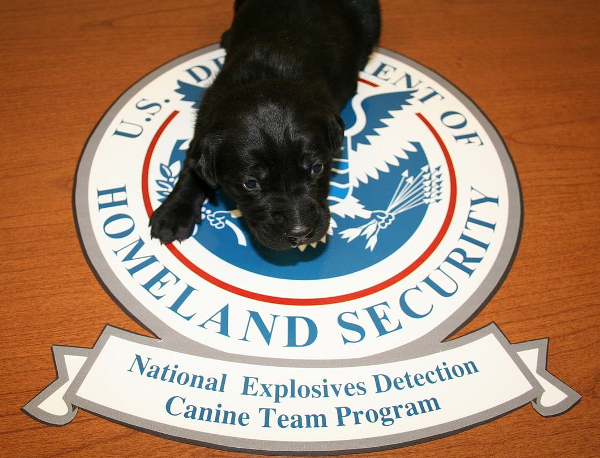 There are plenty of trained, worthy canine handler teams that could operate if the process was simply open to third-party vendors and he noted that TSA had scheduled an Industry Day to discuss how best to address the third-party canine screening issue. That Industry Day was held last week in Reston, Virginia and the room was filled with interested folks from across the aviation/canine spectrum. TSA’s Chief of Operations, Gary Rasicot, opened the meeting with the assurance that stakeholder input was vital to whatever approach TSA eventually decided upon, and he let it be known quite clearly that bureaucracy would not hold up implementing a program that would work to meet security and business case requirements. More than 60 companies signed up for the event, the majority of which represented canine trainers and handlers who were eager to offer their services to the cargo airline industry, so long as they knew what standards TSA would set AND the regulatory environment in which they would be required to operate. And this is where I give TSA credit. They did not walk into this Industry Day with a plan to dictate to industry how a third-party canine screening program would be set up. Rather, they laid out their thinking, offered alternate courses of action and sincerely asked for industry input. And they definitely got it – from one company who found it too difficult to provide dogs to the U.S. government, to cargo carriers and freight forwarders who made recommendations on how to make the system work more smoothly. Aviation folks are rarely shy, and this event was no different, but the amount of participation was precisely what TSA said they wanted. The fact that they wanted stakeholder input was refreshing. Without directly acknowledging it, TSA had not been successful in the past when it tried to adopt programs without getting input from the actual operators and customers. Had they learned a lesson? It is hard to know for certain, but it was good to see TSA officials (yes, even an S&T program manager) stand in front of a room full of private sector interests and ask for help and acknowledge that comments made there were, indeed, helpful. There is much more to be done before the exact manner in which TSA will address the canine screening issue will be resolved and implemented, but if the Senate Commerce Committee hearing and the subsequent TSA Industry Day were any indication, action will occur relatively soon. Before long, a program that “goes to the dogs” will be recognized as the successful result of public-private collaboration. That is a very good thing in my book, but I’m not exactly objective. You see, I’ve been a dog person almost all of my life. Well stated and accurately reported. Dogs are the next best answer to new technology, and with the technical procurement process taking so long, perhaps the new canine program will fill that gap. You noted that this was a unique event in Reston because the TSA asked for opinions and thoughts. I would argue that they have done that a lot, however, where they have fallen short in the past is actually listening to the stakeholder input and implementing suggestions or modifying their program based on feedback. If they can do that with this program, then we can declare a modicum of success. Obama Taps Emanuel for TSA! NSA Monitors S&T! SJL Releases New Book! Really?! ?